Medical acupuncture involves the insertion of very thin, sterile needles at specific locations on the body to promote health, prevent illness and treat a variety of medical conditions, including acute and chronic pain. Acupuncture can be used to treat digestive ailments, respiratory problems such as asthma or recurrent sinus infections, neurologic conditions including disk disease, and musculoskeletal concerns including knee, back or neck pain and arthritis. Acupuncture needles activate nerve fibers to increase communication between the brain and spinal cord with the peripheral limb or organ, as well as to control glandular activity, digestion, immunity and nerve function. The needles also release tension from the muscles and surrounding tissues and activate endorphins which are important in regulating the perception of pain. The number of treatments needed differs from patient to patient and may require one or two treatments weekly for several weeks. However, changes may often be seen within the first few treatments. Most side effects are mild and even pleasant – a sense of relaxation, an improvement in sleep, or improvement in digestion. Occasionally the patient may experience a temporary worsening of the symptoms before improvement is seen. 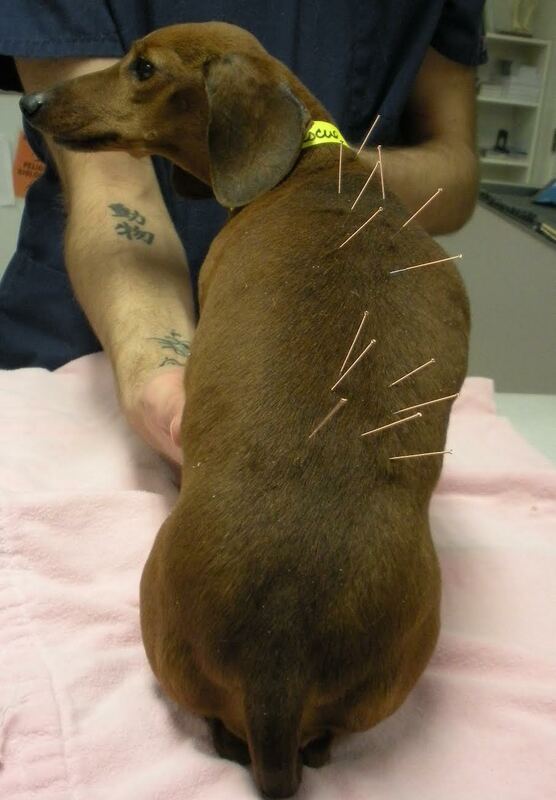 Evaluation of your pet and placement of the therapeutic acupuncture needles will be performed by a veterinarian certified in animal acupuncture. 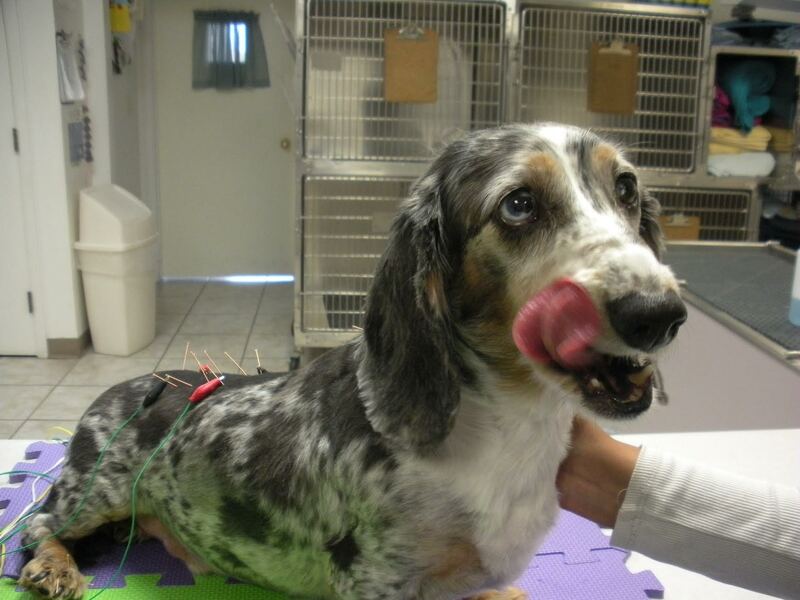 Treatment sessions typically last from 30-60 minutes, and your pet will be accompanied by an experienced staff member for the entire time the acupuncture needles are in place.